Congratulations are in order for The Wise Creative Collective who organised an outstanding Pop Up Boutique in the heart of the West End over the weekend. Nesstled on the top floor of Kettners Restaurant and far from the madding crowds of Picaddilly Circus and Regent Street, we thoroughly enjoyed being amongst some outstanding British Designer-Producers as we sipped champagne and nibbled on canapes but even more satisfying than tantalising our palattes was meeting people who came out of their way to seek out goods that have been made in Wales, Ireland, Scotland and England to very high standards. We can rest assured that there are are select group of people whose gifts will be gratefully received this festive season. 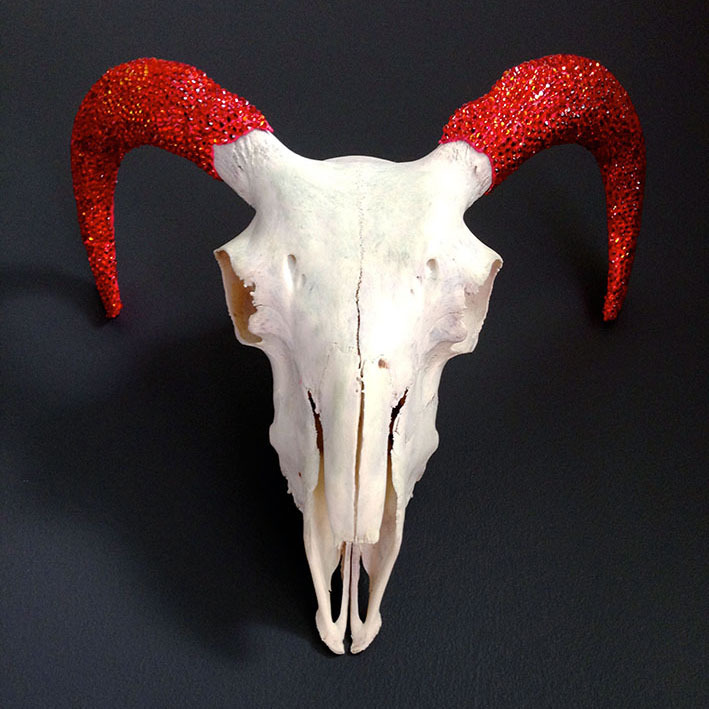 It is rare that I come across an item that absolutly blows me away, but coming across Rachel Whittingham's Horny Things stopped me in my tracks to admire the fine juxtapositioning of a bleached animal skull and shiny Swarovski crystals! Rachel's pieces drew me back to them time and time again and its obvious that a purchase is imminent from her extrordinary collection. It was a pleasure to meet Neliana and Paula, the forward-thinking design duo behind the stunning ÆTHER womenswear label. Based between London and Stockholm the brand is providing beautiful limited edition pieces and are operating as a transparent company shariing information on all aspects of their production process which makes them a brand after our own hearts! 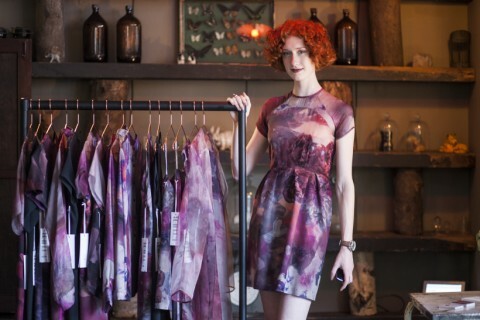 Katherine established Magpie in 2008 after being awarded an Arts Council grant and Princes Trust Loan and it was fascinating to hear her story of trials and triumphs building her brand and the production process in Sheffield. It was clear that Kathering is very passionate about sharing transparency in the way her company is run, how she has built up her team of artisans and proving long-term opportunities for apprentices. 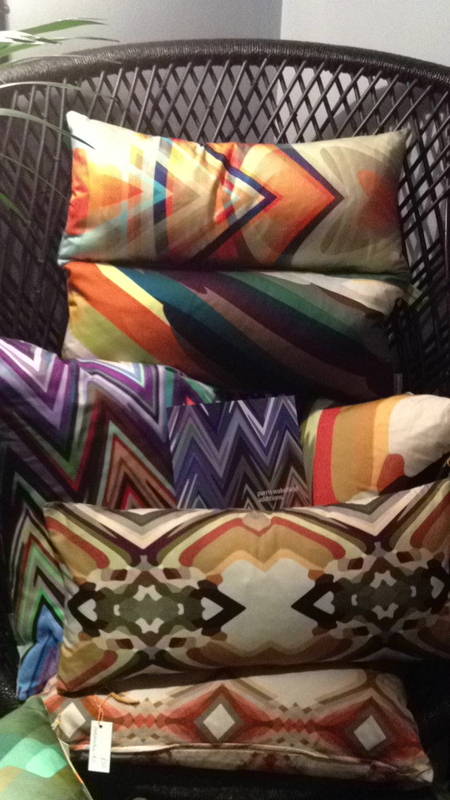 Again, gorgeous bold patterns colours and prints on deliciously soft fabrics and all made in England. An easy win-win on the Xmas shopping list! 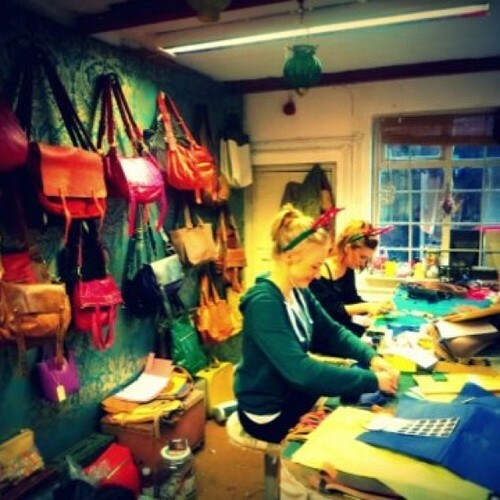 Pop-up shops and boutiques are an amazing place to find unique and unusual items but more importantly they are a very easy way to support growth in the local economy and the work of local designer makers and producers.